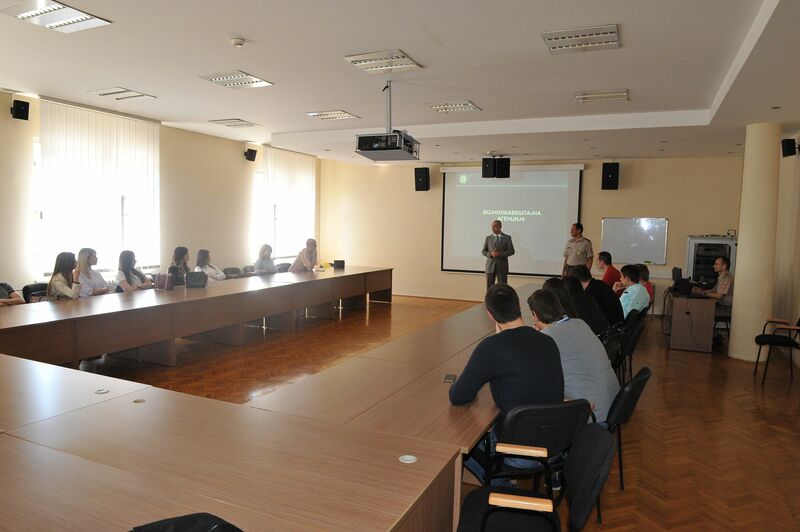 Students of the Faculty for Diplomacy and Security visited today the Military Intelligence Agency of the Republic of Serbia. The visit was planned as a part of their professional practice with an aim of being informed about the work of the Agency. 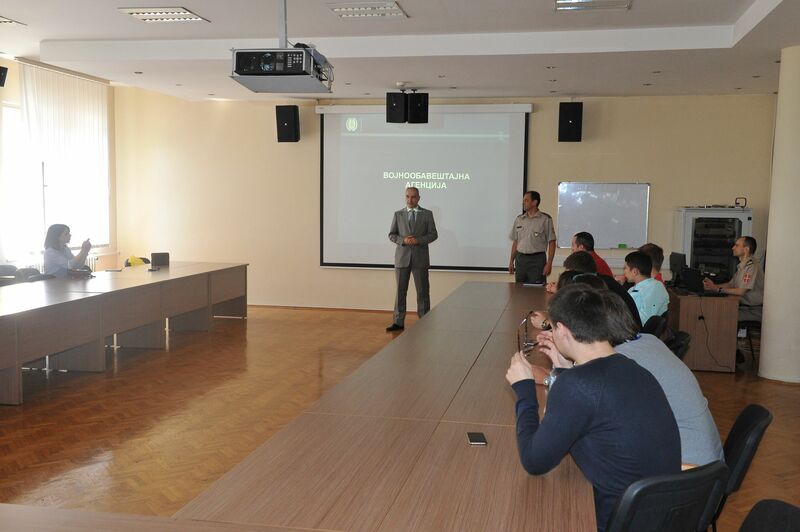 While addressing the students, Colonel Zeljko Gajic expressed on the behalf of the Military Intelligence Agency the satisfaction with this visit and informed them about the place and role of the Military Intelligence Agency within the system of defence as well as in the security-intelligence system of the Republic of Serbia with the emphasize on the specificities of the Agency’s work. 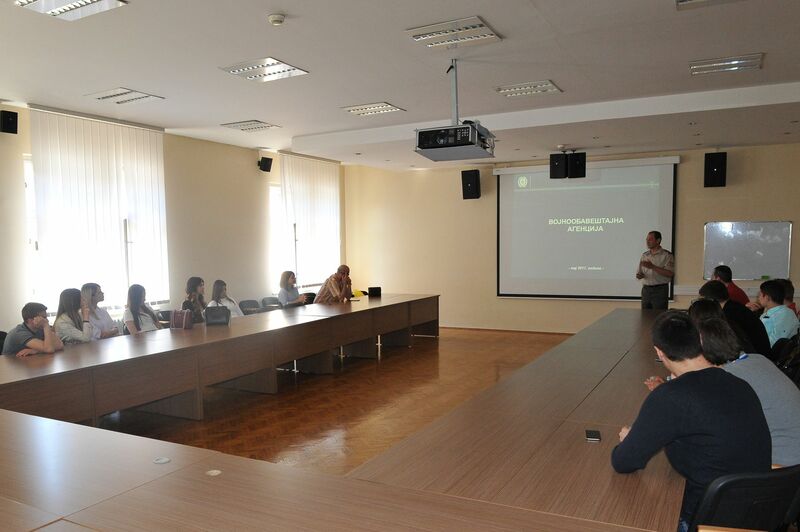 In the addition, the students have been informed about the legal framework of the work of the Agency, its missions, functions, competences and organizational structure.